Black t-shirt with two-sided printing. this shirt is one of crashdiets best! the texture is soo soft and every shirt is comfortable! i was fully satisfied ! REALLY fast shipping! Amazing colours. This is the second time ive purchased this shirt. The material is good and the blue and black is the best colour combination. My favourite shirt ive got. This T-shirt is awesome. Great colours and a nice frontprint with the bandmembers angryface. Really cool T-shirt. 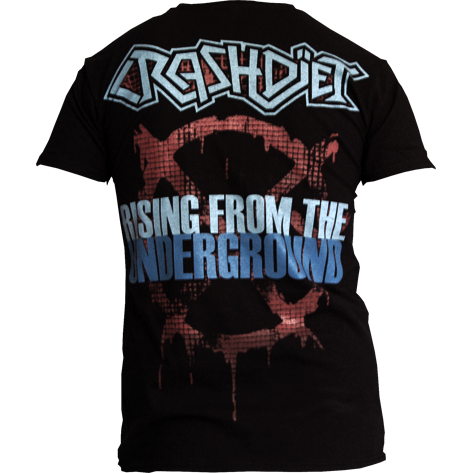 The backprint is also pretty awesome with the text; Rising from the underground. How cool isn't that? 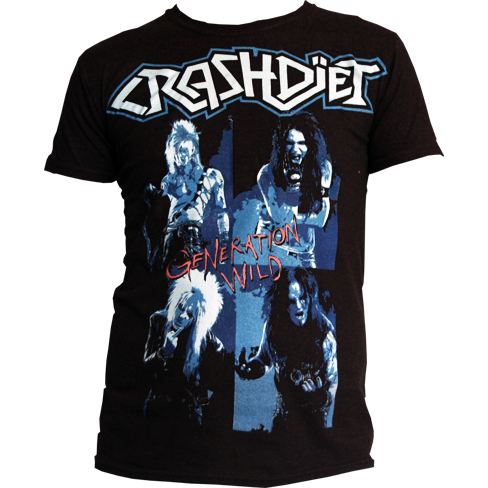 thanks so much i love my crashdiet shirt.